Canadian International Development Agency. Russian programm office. Site available in English, Russian and French versions. Dashteam-project corporative site. Two language - Russian and English version - avaialble. The company is specialised in the industrial design. Specialized catalogue of russian agroresources on the Net "Agrorus" is a project of the Foundation for Agrarian Development Research (FADR). 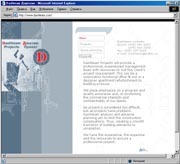 Development of the catalogue, originally supported by Eurasia Foundation, was started in 1997. Since then, Agrorus came to be the most authoritative source of information on the agricultural resources in the russian sector of the Internet. The catalogue is integrated in the FADR information system, which unites Russia's most popular agricultural resources. The Ecological Cooperation Project is the first large-scale children's network project in Russia. This project was founded on the principles of development and achievement of widespread nature awareness among Russian school children through the establishment and unification of numerous children’s ecological projects. "Save Nature" ecological Programm supported by US AID in 2001.
International organisation united world-wide business people. On-line catalogue of EuroCave vine cabinets. On-line photo-stock. About 2000 original wildlife photographs are available. On-line order possible. 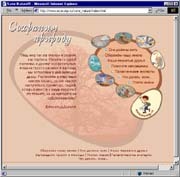 Client: Муниципальное унитарное предприятие (МУП) "ПОКЛОННАЯ ГОРА"
Corporative site of annual exibition. Official site of Moscow charity-school for orphans. International Working Group for the Steller's Eagle Conservation "O-Washi-net"
Client: International Working Group for the Steller's Eagle Conservation "O-Washi-net"
Official site of science conference. Official site of Moscow journalists club.